It is now mid-February, and I am just about ready to get out of hibernation mode. I was a little bit sad to learn that with the comfort food and lazy days of hibernation, I managed to gain a whopping 10 pounds. And while I’m not one to obsess over every little pound, I am very conscious of how my clothes fit, or more specifically, how they’re not fitting these days. So in addition to getting back into running (I am running a 5k in two weeks! ), I have been keeping better tabs on making sure I am eating healthier meals. For me, I have the hardest time finding healthy meals for breakfast. I don’t love traditional breakfast foods, like oatmeal, cereal or yogurt. I wish I did, but it just doesn’t seem substantial enough to start off my day. Since I have been craving strawberries and lemons lately, I decided to whip up a batch of healthy strawberry and lemon muffins. Preheat oven to 400 degrees. Line cupcake pan with Little Gems Baking Cup Molds. Combine flours, sugar, baking soda, baking powder, and salt in a large bowl, and mix. In a smaller bowl, whisk together egg, milk, applesauce, lemon juice and vanilla extract. Pour liquid ingredients into flour mix and stir until mixed thoroughly. Gently fold in lemon zest and strawberries. Spoon batter into baking cup molds and bake in preheated oven for 18-20 minutes. I have the worst time with muffin or cupcake liners. Every time I make muffins or cupcakes, the baked goods always stick to the liners or the pan. I don’t throw around the word “always” lightly, but I mean it. They always stick. I was pretty excited when I found Little Gems Baking Cup Molds. They’re eco-friendly and made from 100% silicone, which means they’re BPA, lead and phthalate free, they’re dishwasher, oven (up to 440 degrees) microwave and freezer safe. And the reason I am so excited about them — my muffins don’t stick to the sides! The baking cups pull easily away from the muffins, making my baking experiences much more pleasant. The reason Elle loves them is because they come in 6 bright, cheerful colors — her favorite, being pink, of course. And the reason you’re going to love them is because they’re only $8.99 on Amazon! Considering they’re reusable, and don’t create additional waste, I think that’s a bargain! Oh, and did I mention we’re giving a set away to one of you guys?! Enter below! These look really good! 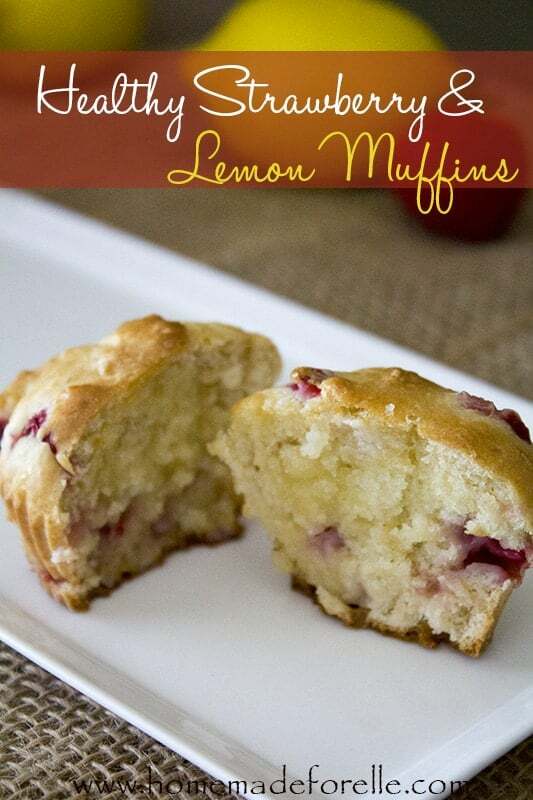 I love muffins and am also craving some summer flavors in all this horrible cold weather! These look great! I have some frozen strawberries from last summer that would be great to use! I may have to add these to my baking plans for the near future!